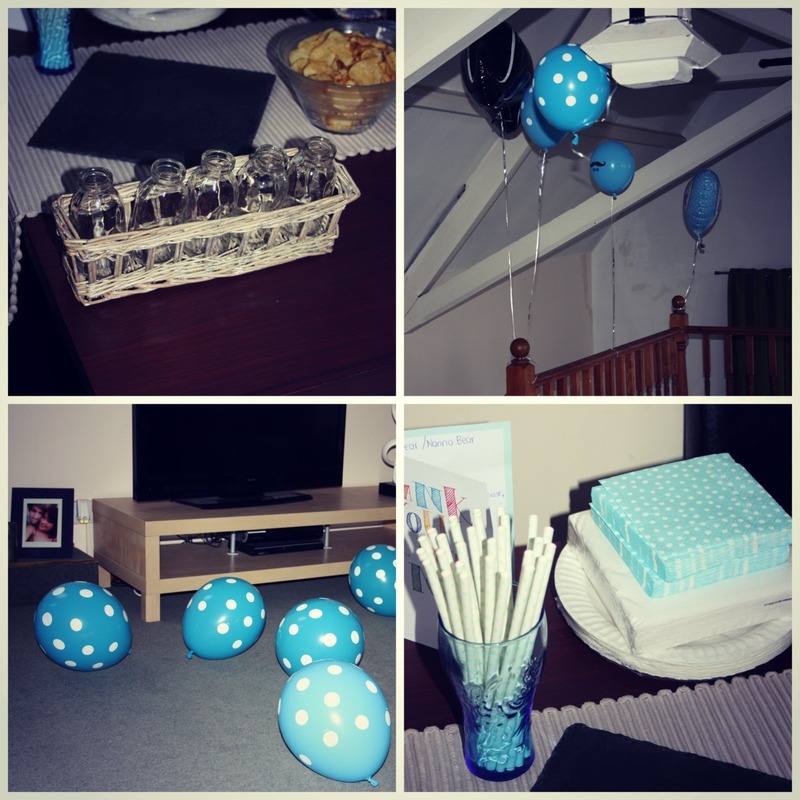 Little Man Baby Shower…A few photos of the decorations and me from the baby shower. 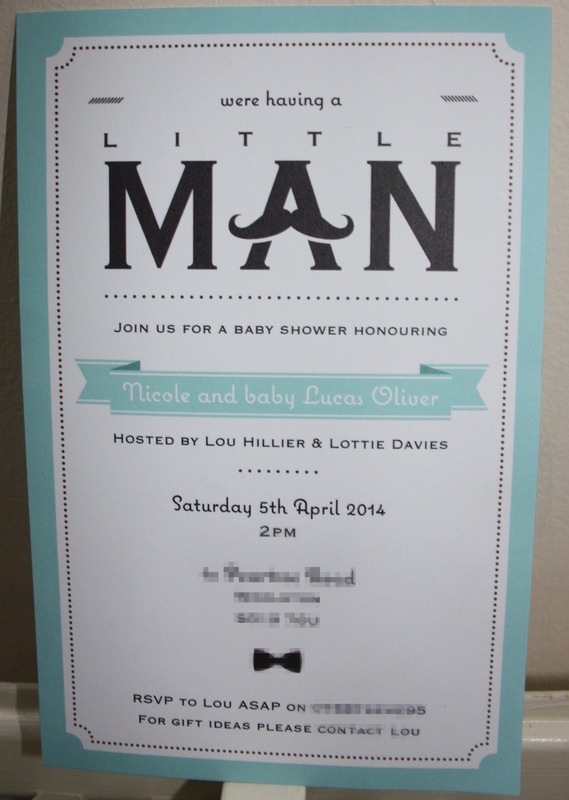 The theme was “little Man” bowties, moustaches & blue and white polka dots. We played Baby bingo, opened presents, talked baby and ate sandwiches and cupcakes! So many blue gift bags and balloons to take home. I am completely in love. 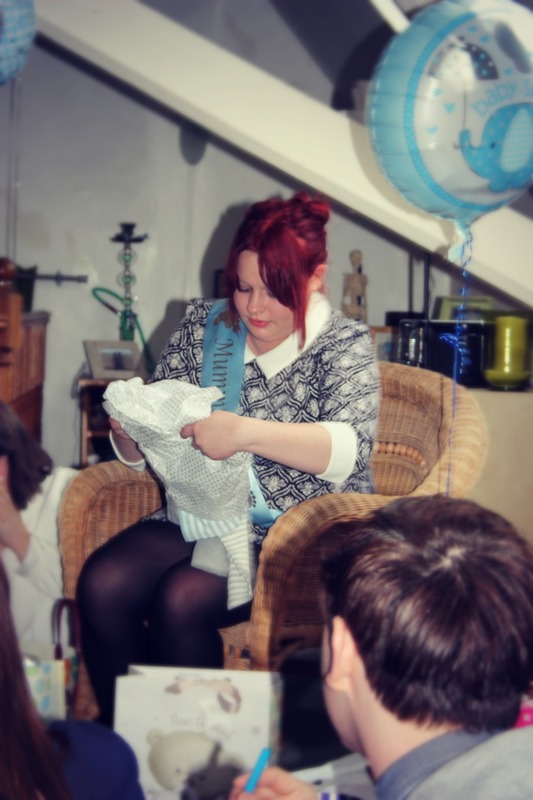 We had a baby powder yankee candle, a daffodil, a polka dot straw, a creepy little baby in a jam jar as party favours! it was a cute idea & looked lovely to give away.